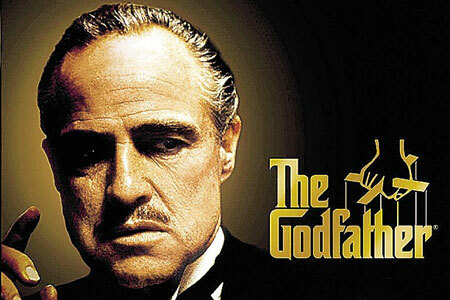 On March 27, 1973, a young Indian woman named Sasheen Littlefeather took the stage during the Academy Awards to decline Marlon Brando's Best Actor Oscar for The Godfather. "Marlon Brando ... has asked me to tell you, in a very long speech which I cannot share with you presently—because of time—but I will be glad to share with the press afterward, that he must... very regretfully cannot accept this very generous award. And the reason for this being... are the treatment of American Indians today by the film industry… excuse me… and on television in movie re-runs, and also the recent happenings at Wounded Knee. I beg at this time that I have not intruded upon this evening and that we will, in the future…our hearts and our understanding will meet with love and generosity. Thank you on behalf of Marlon Brando." Some in the audience applauded, but most booed. While presenting the Best Picture Award, Clint Eastwood wondered if it should be presented "on behalf of all the cowboys shot in John Ford westerns over the years." Michael Caine then critized Brando for "letting some poor little Indian girl take the boos," instead of appearing and taking the boos himself." After the ceremony, Littlefeather shared the full text of Brando's statement with the press.